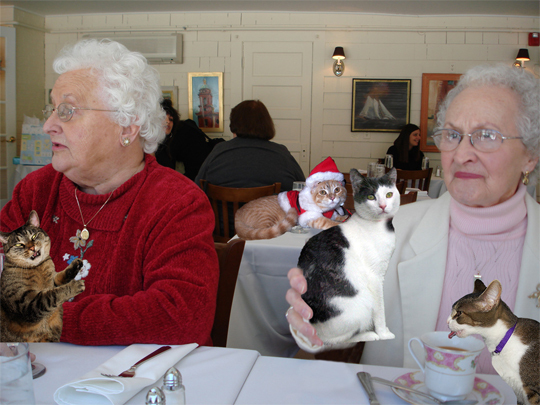 These ladies are out catching the early bird special at their favorite restaurant with their favorite Boozecats. They usually roll with a large posse of Boozecats. They better catch that guy on the right though before he burns his tongue. Also, this is how they drove to dinner.